FMD11 is at Insanity Nightclub in the center of Bangkok, with a stacked MMA Fightcard showcasing the best Thai and international fighters in the region. FMD lets fans stand right next to the cage and enjoy FMD's MMA party atmosphere, hosted by MMA promoter Jon A. Nutt, and Thai fitness celebrity Mark Abbott. FMD11 also features: one free Singha beer for all guests, 100 baht Singha draft, V8 Diner restaurant, MMA retail booths, live DJ's & FMD Ring Girls. 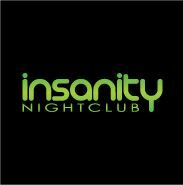 After-party will be in Insanity Nightclub with free entry to FMD wristbands holders.